A Day after the Kollam Puttingal Temple Fire Tragedy, a sitting Judge of High Court of Kerala Justice V. Chitambaresh wrote a letter to High Court seeking ban on high-decibel explosives in Fireworks display. He requested the Registrar to place the letter before the Division Bench in order to consider as to whether the same could b treated as a PIL and appropriate interim orders passed. The sources confirmed that the Letter will be treated as a Public Interest Litigation (PIL). A Division Bench of Justices Thottathil Radhakrishnan and Anu Sivaraman will hear the matter tomorrow. “Life is the most precious creation in this planet which cannot be replaced by money and right to life guaranteed under Article 21 of the Constitution of India is very valuable. The Supreme Court has come down heavily on animal race – ‘Jallikattu’ – in the name of religious celebrations and then why not fireworks which consume human lives? The deafening noise and widespread pollution caused by fireworks adds to the woes and miseries of numerous citizens living in the vicinity” Justice Chidambaresh wrote in the letter. “The time is more than ripe for immediate Judicial intervention to stop such man made tragedies by banning the use of the high decibel explosive fire crackers. Pyrotechnics display using ‘Amittu’, ‘Gundu’, ‘Kathinavedi’ etc. have to be banned and at best only low decibel Chinese type crackers can be permitted for display. Thousands gather to witness this spectacle and even the police personnel find it difficult to ward them away from the spot where the display is often made”. Meanwhile the death toll in the tragedy has risen to 109 today. A case has been registered under Section 307 and 308 of Indian Penal Code and various Sections of the Explosives Substances Act, against 15 people, including temple Management Committee members and workers of firework contractors. 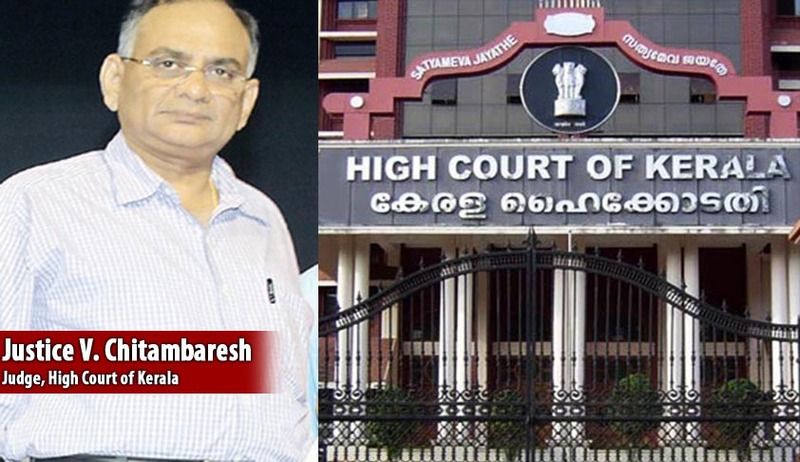 Government of Kerala had ordered a judicial inquiry by Justice Krishnan Nair, a retired Judge of High Court of Kerala.